EMOZ feels glad to count, among its friends and collaborators, with Fernando Gilgado. He is a documenter from Madrid, expert in origami and creator. 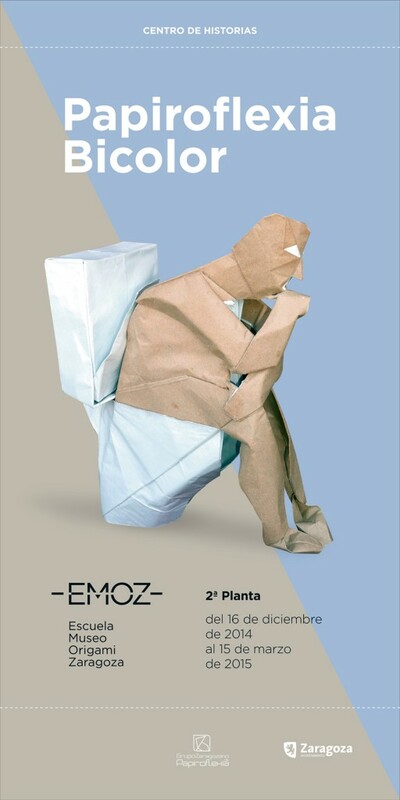 Nowadays, he is one of the most prominent origamists in Spain. He has in his own a large variety of designs created and published in different book, going from easy models to more difficult ones. The bicolor origami is his most recognised line of work. Fernando knows how to take the best effect with the combination of both sides of the paper. Other interesting facts in this creator is his hiper realism, in which the stands out with an extreme level of details. Additionally, he usually adds a special humorous touch in all their works. In this occasion, Fernando delight us with four dioramas, between naïf and virtuous. The visitor will enjoy little unexpected details if he keep attention and take some time to reflexion.